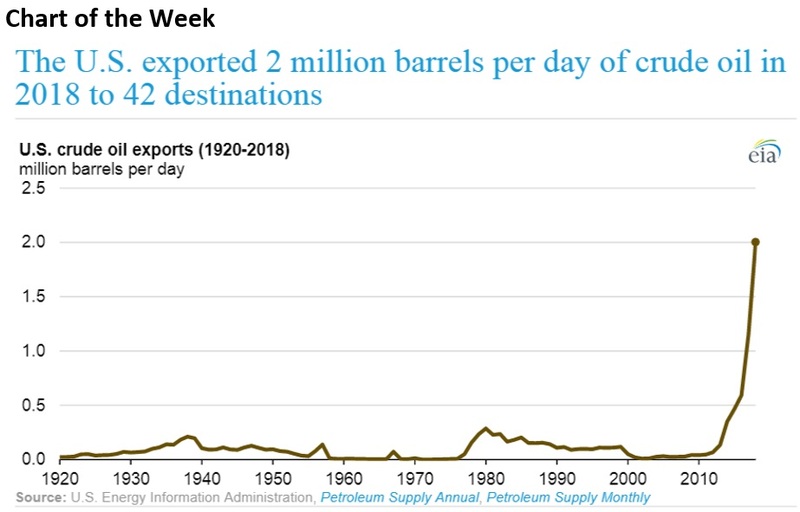 In 2018 the U.S exported 2 mb/d of oil, up from 1.2 mb/d in 2017, according to the EIA. Exports to China declined, while exports to South Korea, Canada and Taiwan increased. 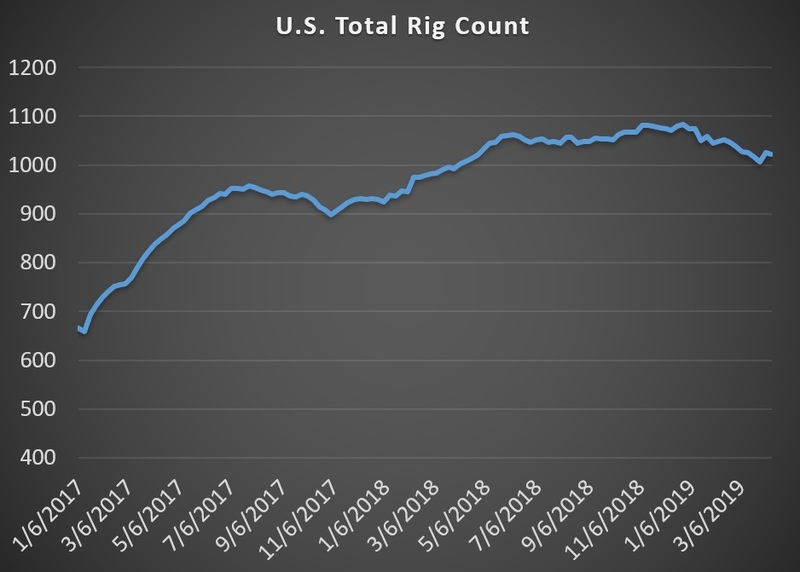 The mismatch between the medium and heavy oil oriented refining infrastructure on the Gulf Coast, and the increasing volumes of light oil from U.S. shale fields, has contributed to the surge in exports. Concho Resources (NYSE: CXO) says it will establish a 50-50 joint venture with Frontier Midstream Solutions to build oil gathering, storage and transportation services in the Permian. The EPIC Pipeline, backed by Ares Management (NYSE:ARES), including stakes by Noble Midstream Partners (NYSE:NBLX), Altus Midstream (NASDAQ:ALTM) and Diamondback Energy (NASDAQ:FANG), won approval for its initial rates for shippers from FERC. Shale stocks soared on Friday after Chevron (NYSE: CVX) announced its $33 billion purchase of Anadarko Petroleum (NYSE: APC). Pioneer Natural Resources (NYSE: PXD, was up 11.3%), Concho Resources (NYSE: CXO +8.7%) and Noble Energy (NYSE: NBL +7.4%) all rose on the news.